I thought I picked this up free, but it's not free on Amazon today (I just checked) so maybe I paid full price? My brain is all over the place, so who knows? The thing was, this was an impulse buy and I had no idea what to expect. 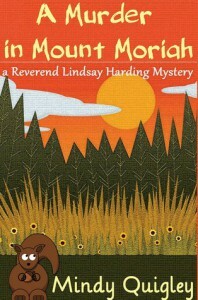 What I got was a book with a solid sense of its North Carolina setting and a focus on warm, well-developed characters. In fact, the mystery felt secondary to the heroine's emotional journey - but there was a mystery (I've found some other cozy mysteries to be lacking in mystery). A pleasant read that still managed to deal with some difficult issues - like family relationships.